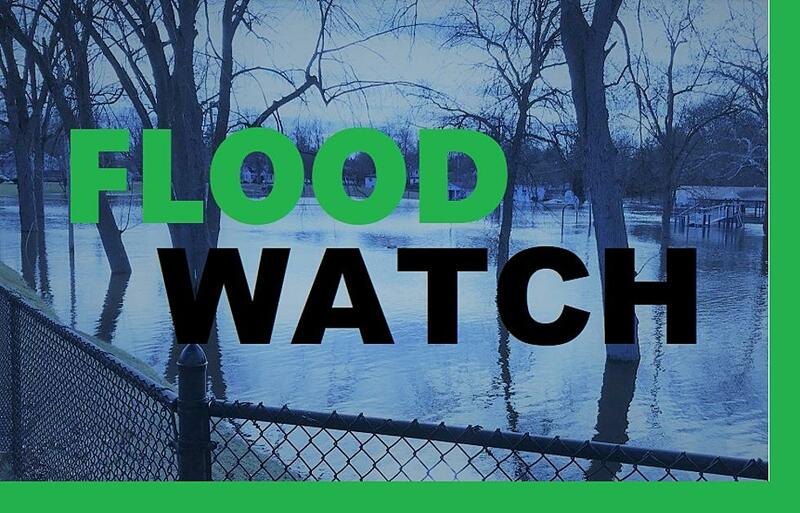 CLEVELAND — The National Weather Service in Cleveland has issued a Flood Watch for portions of Ohio and northwest Pennsylvania, including the following Ohio counties: Ashland, Ashtabula Inland, Ashtabula Lakeshore, Crawford, Cuyahoga, Erie, Geauga, Hancock, Holmes, Huron, Knox, Lake, Lorain, Mahoning, Marion, Medina, Morrow, Portage, Richland, Seneca, Stark, Summit, Trumbull, Wayne, and Wyandot. it from 10 a.m. Wednesday through 4 a.m. Thursday. The recent weekend snowstorm contained about 0.5 to 1.0 inches of liquid water. About 0.4 to 0.75 inch of snow-melt is expected today. In addition, rainfall today will range from a half inch near Toledo to 1.5 inches in part of Pennsylvania. The combination of rainfall and snow-melt will produce widespread minor flooding. Temperatures are expected to stay above freezing through the early evening. But they will begin to drop and keep dropping until they reach single digits late Thursday or early Friday. Standing water and freezing temperatures will result in icy conditions.